The SCBWI Summer Conference is Selling Out Fast! In particular, the intensives are filling up! It's a full day drawing session. Bring drawing material and a 8-1/2” x 11" pad and tracing paper! In this hands-on intensive, Bruce Hale and Suzanne Morgan Williams coach you in taking your school/library presentation to the next level. They’ll cover planning, marketing, performance, curriculum tie-ins, and everything in between. You’ll even be videotaped and receive feedback on a brief excerpt from your presentation. Assignment: Please bring a five-minute talk to share, plus: your latest book (or ARC), any marketing materials, and a prop (small enough to fit in a shoebox) that represents you and your work. Are you in between projects, or waiting for a contract? This class will give you concrete ways to supplement your writing and illustrating income. Learn how to get writer/illustrator work-for-hire, and come away with a list of publishers to contact for work. In class exercises include writing query letters, writing to a publisher's specifications, and more! In this session, Stacey Barney will guide you through a comprehensive overview of novel writing devices. It's always helpful to bring a work-in-progress so that you can apply each technique and device to your own work during the discussion. Stacey brings her editorial expertise to help each participant discover what is working with their manuscript and what can be improved. You’ve come up with a plot. You’ve created characters. You have a setting. Now how do you make your readers feel like these characters are really speaking to them? Voice is one of the most important elements of fiction and one of the hardest to master. In this session, we’ll work hands on to improve voice in fiction, with a focus on young adult fiction (and techniques that also apply to middle grade). By reading and discussing how authors create voice on the page and working on our own writing to sharpen our voice, this session focuses on writing that really brings your characters’ individual personalities to life. The session begins with an "annotated storytelling" that will analyze a piece of fantasy writing from the macro to the micro—discussing everything from mythic structure down to the reasons for specific metaphors and word choices. Then we'll examine ten specific tactics to employ while writing middle grade fantasy. We'll conclude with some critiquing, as time allows. Assignment: Please bring a work-in-progress. Whether you’re just starting out, or in the revision stage of your novel, this intensive will give an overview of the four basic elements of your narrative. This workshop also aims to help you work through and brainstorm around any specific issues your having with your novel’s narrative. Assignment: bring an issue you’re having in your work-in-progress that deals with either structure, voice, character, or plot to discuss and talk through with the group. Optional: Read both Where the Mountain Meets the Moon and Starry River of the Sky by Grace Lin. Picture books are so simple, but often need to be revised or even re-imagined many times before they are just right. Drawing on our years of experience as independent editors, and in-house children’s book editors in New York before that, Eileen Robinson and I developed this workshop to help writers do just that. This workshop will teach you techniques to enable you to find problems with your picture book manuscript, reshape it, even re-imagine it, and then polish it before you send it out. Examine how narratives unfold through poetry. Consider how poets choose language, channel voices, evoke settings and use structure. Practice creating tableaux, experimenting with structure and writing from different points of view. Sometimes writers start in just the right place, and sometimes the best opening line or scene is hiding on page 27. Some authors seem to think a prologue is the only way to really get their point across. How are you going to hook that reader–any reader–into dying to know more? In this three-hour intensive, Victoria Wells Arms, former editorial director now agent will look at both your first page, and the place you think might actually be a better first page, and we will discuss the various options in how you start a novel (chapter books thru YA, no picture books here). Assignment: Send in the first two pages of your current work-in-progress to victoria@wellsarms.com, and, if you like, the other place that you think might be an alternative starting place, two additional pages max so I can read ahead of time. We are going to have to stick to 5 mins total for each participant. Learn the differences between Twitter, Facebook, Instagram, and Tumblr, and get down to the brass tacks of how you can use each to: build authentic relationships with a variety of readers and power connectors; increase your platform without increasing your workload; and share your books without clobbering people over the head with tone-deaf marketing messages. We’ll focus on best practices for each social media platform, tools you can use to create images that resonate, and website platforms that let you integrate all of it seamlessly. Assignment: Please bring a laptop and 2-3 favorite quotes from your books or about writing. What happens after you write your first draft of a novel or chapter book can be the most important and most difficult part of the writing process. Based on my own work with writers, this workshop teaches proven techniques to get useful feedback and others, dig into "big picture" problems with your manuscript, and refine it at the sentence level. It's going to be an amazing conference, and the intensives promise to be game-changers for your craft and career. You'll find registration and all the other conference info here. 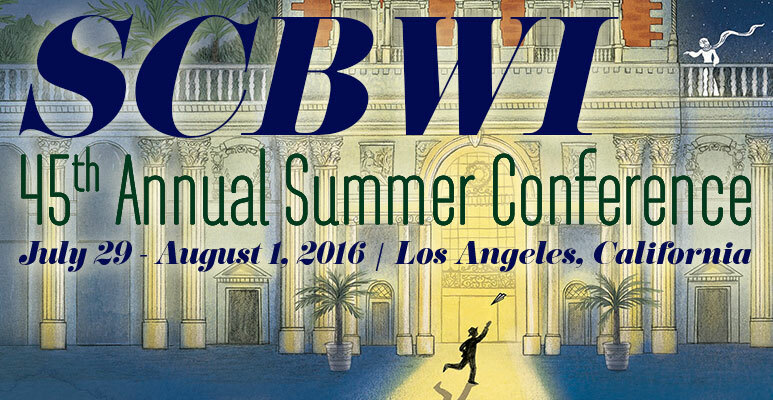 We hope to see you at #LA16SCBWI! Optional one-on-one manuscript critiques and portfolio critiques for feedback from a publishing professional. The Portfolio Showcase gives you an opportunity to display your work to faculty and participants alike. Come and be discovered! And the conference gala... The Red Carpet Ball! 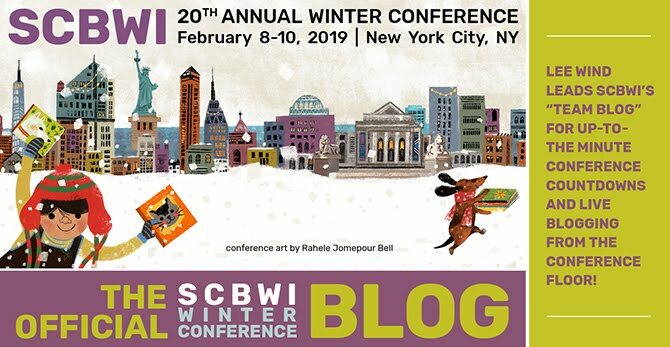 So bring your Hollywood Glamour, sense of career adventure, and dive into all the craft, business, inspiration, opportunity and community that the SCBWI Summer Conference has to offer. You'll find all the information and registration here.